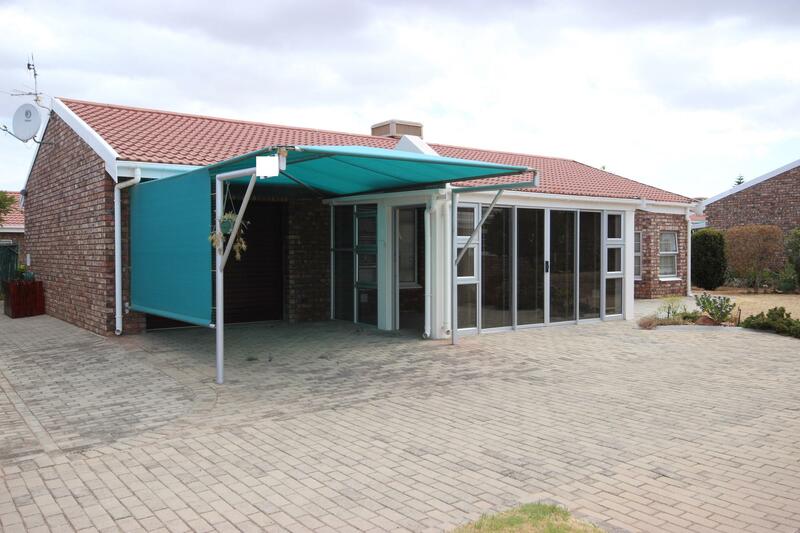 A lovely face-brick home located in a well-known retirement village. As you enter the main home, you have a lovely enclosed patio, ideal for the chilly winter months. The home offers three-bedrooms with one and a half bathrooms, an open plan kitchen, dining room and lounge area. The Kitchen opens into the indoor braai area. The single automated garage has additional space for a laundry. There is additional parking in the way of an undercover parking bay in front of the garage.